Back in January at the 2010 PGA Merchandise Show, THP got a chance to look and learn about a new equipment company hitting the market and it intrigued our readers to say the least. From the booth photos, our readers saw striking photos of some new products that were innovative in design and technology and promised to deliver in different ways to golfers of all skill levels. Before we get into the review of the new FW32 hybrid from the Players Series, it is important to see where the company came from and what makes them unique to the marketplace. Williams Sports is an exclusive partner of the Williams Formula One team. Williams Sports has been awarded the exclusive global rights to produce golf equipment and accessories that mirror the high standards of the Williams team. The long standing tradition and success of this team will be translated into industry leading products that will carry the tradition into the golf sector, a new world of opportunity and exposure. For the past three decades, all of Williams F1 race car chassis have been denoted in the syntax “FW,” followed by a sequential number, the FW being the initials of team owner, Frank Williams, with the team racing the FW32 in this year’s FIA Formula One World Championship. Williams Sports will be offering an extensive line of equipment and accessories to dazzle the most enthusiastic golfers around the world. The entire product line will feature benefits and attributes that will be directly related to the design and performance that has made Williams F1 one of the most successful teams in Formula One. Williams Formula One utilizes the engineering of materials and components to push the limits of performance to ensure the success required to sustain their competitive position in the sport. Williams Sports will be utilizing the same engineering aspects to push the performance limits of design and materials to create a brand that offers products unseen to the golf industry in the past. 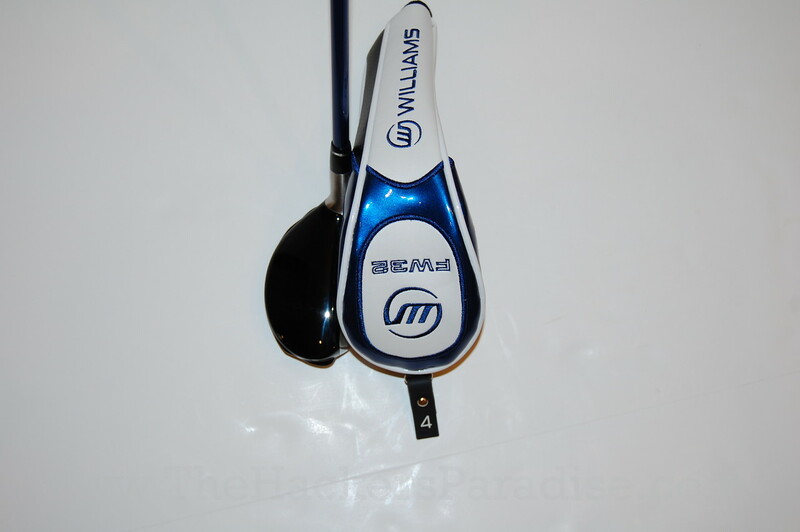 Williams Sports will be utilizing the extensive team of Williams’ engineers and testing equipment to create the most highly advanced golf products while testing all critical design aspects to ensure the product is the best the industry has to offer. Most people watch that video and see huge dollar signs and costs that they would never consider, Williams Sports has different “series” of equipment aimed at different markets. The Player Series is aimed at the core global golfer. This line is the lifeline of the Williams Sports product line. This series will feature equipment designed for the everyday golfer that seeks the highest in quality and performance from their equipment. This line will be the platform for all series of equipment that Williams Sports produces. This series will target 75% of the global golfing population and will set the bar of excellence in the golf industry in all aspects of design, performance, and production. 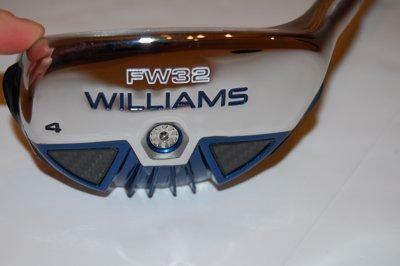 The Williams FW32 Hybrid has a Formula 1 based design platform that uses elements that they have perfected in that sport to assist in golf club design. The key aerodynamic elements; Trip, Winglets, Diffuser, which are essential in managing the airflow and reducing drag in the Williams F1 cars, are also featured in this hybrid. Using those design features to make this one of the most efficient designs in the industry. This products features a complete stainless steel body construction while utilizing Densimet to optimize the weighting properties for maximum forgiveness. All of these components are designed to produce a flight that is optimal for trajectory and control. Williams was kind enough to send over a hybrid to test out and when we opened the box, the first thing that jumps out at you is the striking colors that make up the club and headcover. The blue and white theme that is trimmed in a black carbon fiber look is tremendous. The club head is very traditional looking at first glance as far as hybrids go, the crown is a solid color and it looks very inviting at setup. But that is where “traditional” ends with this one. On the crown, right before it connects with the face, there is a small raised area that is used to optimize forgiveness and weighting. Both the toe and heel offer small “wings” or fins that are barely noticeable, but are said to give great aerodynamic shaping. The last areas that really jumps out at you on first impressions are the blue diffuser that is there to assist in airflow and the weight pockets labeled with Densimet on the back end that are in place to give extreme forgiveness through weighting. THP has been able to put the Williams FW32 Players Series Hybrid through the paces on both the range and the course. The first range testing was a unique one because we had 7 players out there to test the Williams hybrid and compare it to another model being tested at the same time. Two things stood out with the Williams model and that was the higher ball flight and the far more forgiveness off the heel and toe. The higher ball flight did not lead to ballooning as would be expected, but just a nice high ball flight that lands softly. 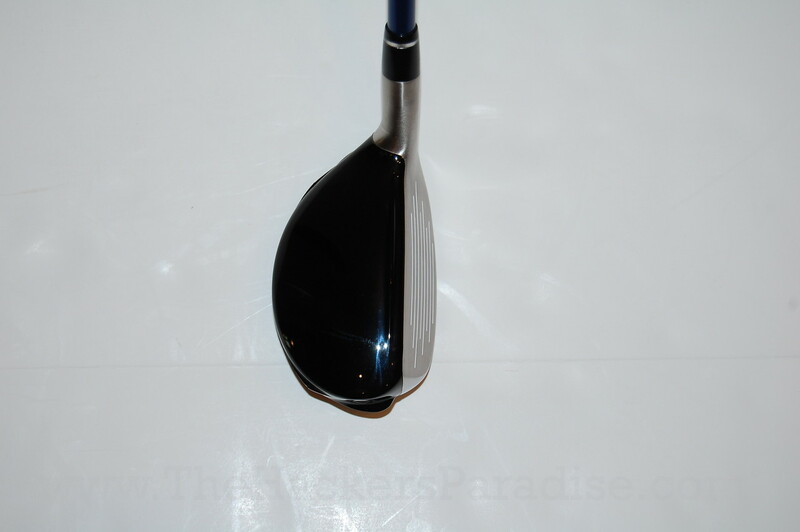 The shaft being tested was a Fujikura 75 gram mid-high trajectory shaft which certainly contributed to the ball flight as well. The specs of the hybrid being tested was a 4 hybrid at 22 degrees measuring in at 39.25″ (the same as the other model being tested). According to the THP Accusport VectorX launch monitor we were seeing an increase in distance on average of 2.7 yards. But to be fair, none of the testers saw a discernible difference out on the course. One thing to note though was that their was a small ball speed increase on the practice range that could lead to distance increases and we can only attribute that to different aerodynamic factors that make up this club. This is where the Williams FW32 Players Series hybrid really shined. Measurements showed a tight shot dispersion for all handicaps tested. To take it a step further, the higher handicap players (above 18) saw a tighter dispersion compared to their hybrids by over 17%. Something you just do not see much anymore in terms of forgiveness and performance. On the course, the hybrid works as advertised. Nice high launching ball flight with a soft landing that most amateurs are searching for as they have made the switch to the hybrid golf club over the past 10 years. Being slightly strong lofted can cause some gap issues in your bag, so we definitely recommend testing it out for distances before settling on a certain number to fit. Hopefully the Williams line will get a strong distribution to go with the products that are coming out, because after our testing concluded we firmly believe that people need to get the opportunity to hit these first hand. What we have here is a club that really has just about everything one could ask for in a hybrid. Good looks with a traditional shape and color. Loads of technology packed in to assist just about every golfer out there and a performance that matches all that was just mentioned. Performance and forgiveness all packaged up in a club that looks as good as any we have seen before makes the Williams FW32 Players Series hybrid a real keeper. Look to see Williams Sports products in stores coming very soon. For more information on the brand overall, check out their website at www.williams-sports.com. Good review. Sounds like they’ve built a great hybrid right out of the gates. Is it bad that looking at the picture of the sole, it reminds me a lot of the Nickent 5DX? Very similar design, except the “wings” are moved and it’s painted in 3DX RC colors. 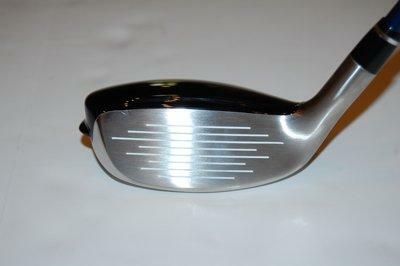 Beautiful clubs and now we hear they are solid performers as well. Thanks for the review JB, I can’t wait for them to start showing up in this market. Great review! Looks like Williams has a winner on its hands! Like you said lets hope for a strong distribution channel so we can see these beauties in retail channels. Such a great looking club! no doubt that this is an impressive looking hybrid. it’s nice to hear that it performs just as good as it looks. Good review JB!! I will definately have to check these out when the become available. I second that the sole looks like a Nickent. It was the first thing I thought of. Its nice to see some new competition in the club marketplace. I will check them out. 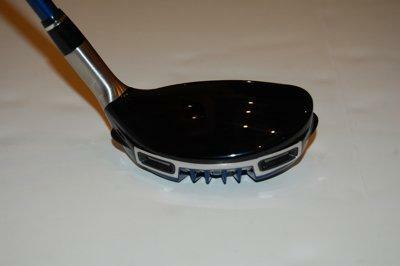 The diffuser concept on golf clubs is really interesting (I love F1)! But I wonder if the diffuser works as well for a golf club as it does on F1 cars? And will the fins take repeated beating without snapping off? The problem using Private label rights web content is the fact that people fail to put it to use properly. They need to either use it to find ideas for subject areas to write about or maybe fully re-write it or spin it and then simply set his or her own name into it.